Today, we’re going to find the best ATX motherboard for 2019. There are dozens upon dozens of motherboard options on the market, but today we’re going to lock down the best ones, especially for gamers. For a few reasons, we ended up with an Intel-only lineup for this article. Click here if you’re interested in seeing options for AMD Ryzen motherboards, including our top pick for Threadripper. 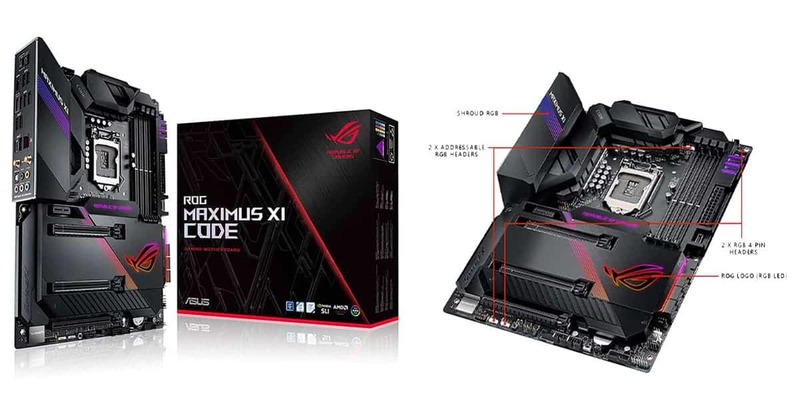 Our pick for the best overall ATX motherboard is the ASUS ROG Maximus XI Code, which we’ll be calling the ROG Maximus from now on. The ROG Maximus is a prime example of a no-compromises board. There’s ASUS’ premium RGB lighting solution, dedicated headers for water-cooling and RGB, and a ton of heatsinks all over the board. In addition to providing a more streamlined aesthetic, this board will ensure that components stay cooler and overclock can be pushed farther. In terms of expansion, pretty much everything you need is here. There are three PCI Express x16 lanes, two of which feature “Safeslot” for better GPU retention. In the place of more standard PCI slots are dedicated space for M.2 drives, in addition to the standard 6 SATA ports for SATA SSDS and HDDs. For those of you worried about the cut-down on standard PCI slots, the motherboard’s built-in features should alleviate your worries. Wi-Fi and Bluetooth are both supported, and a dual-band Wi-Fi antenna is bundled with the box. Our pick for best RGB ATX motherboard is definitely the MSI Z390 Gaming Edge AC. The Z390 Gaming Edge is MSI’s top high-end motherboard and packs all the necessary gaming features you’re looking for. In terms of RGB, we have a rear-glow solution here that will provide better lighting than most other motherboards by itself- and that’s before you add other RGB components. The main reason that this wins our top RGB ATX motherboard pick is because of MSI’s excellent Mystic Light integration. 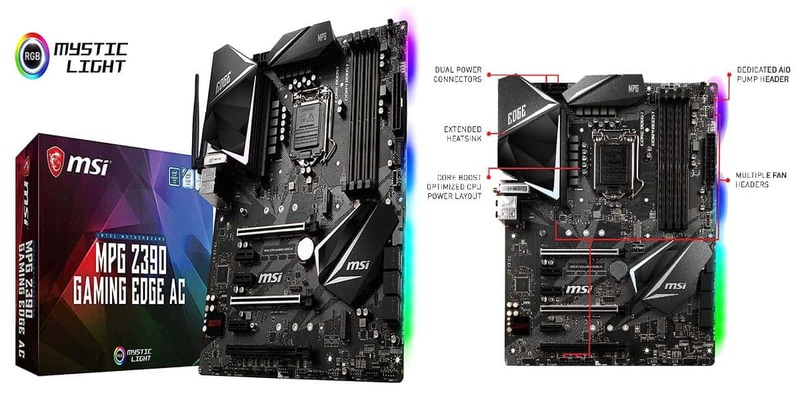 Of the RGB standards across different motherboard manufacturers, we’ve found that MSI Mystic Light has by far the best support for RGB components, especially those from Corsair. If you want a completely-synchronized RGB gaming PC build, then this is the motherboard for you. Aside from RGB lighting and onboard RGB headers, you also have other extras. 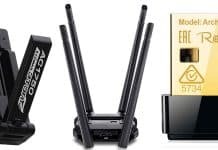 Built-in Wi-Fi and Bluetooth will be appealing for those who can’t always run an ethernet cable, while the abundance of PCI Express and M.2 slots will appeal to those who need more expansion. The Z390 chipset also enables the expected overclocking features, allowing you to push your PC farther than ever. While this isn’t our pick for best overall, it’s definitely the best RGB ATX motherboard you’re going to find right now. The only issue with this motherboard is its high price, but truth be told it isn’t that unreasonable. 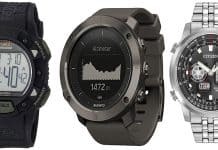 At the time of writing, it’s retailing for under $190 on Amazon, which is much less expensive than its higher-end rival on this list. Nearly $200 is still a lot to ask for a motherboard, but this pricing feels somewhat fair for what you’re getting in return. This is our pick for best gaming ATX motherboard, the Gigabyte Z370P D3. This is our pick for best gaming motherboard. There is nothing in this motherboard that is going to drive up the price you’re paying- it is built purely for raw performance and nothing else. The Z370 chipset will still allow you to achieve great overclocks on your gaming CPU and you still have support for tech like M.2 here as well. 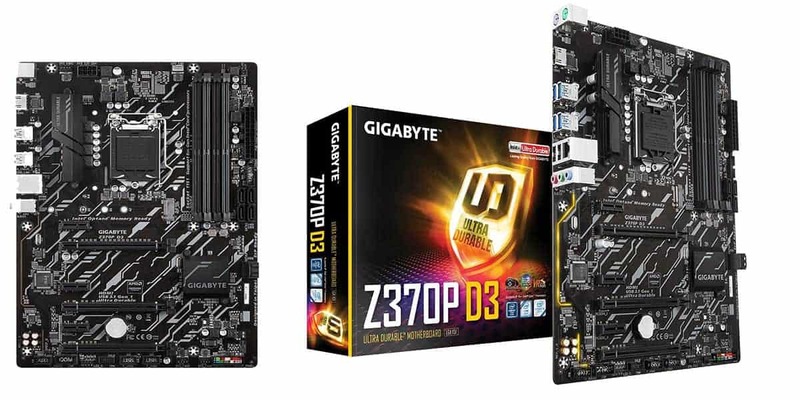 Gigabyte’s build quality and features on offer here are stellar, and this is usually one of the cheapest motherboards available on this list. (It comes in and out of stock often, though.) Gaming doesn’t always need to equal spending more money, after all. That being said if you need extras like Wi-Fi out-of-the-box or want to run multi-M.2 drive setups, this probably isn’t the motherboard for you. This motherboard is built and billed as a no-frills gaming motherboard, and that’s exactly what it is. If you actually need those frills for your PC, then this motherboard probably won’t appeal to you. This is probably the best-balanced motherboard on this list. The ASUS TUF H370-Pro has great build quality and plenty of extra features to ensure a great experience right out of the box. Chief among these features for a budget-minded gamer will probably be the built-in Wi-Fi, alongside the included Wi-Fi antenna. That alone helps this board pay for itself, since it typically retails for under $130 and a half-decent USB Wi-Fi antenna will cost you at least $30. 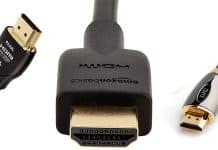 If you can’t use ethernet for whatever reason, this already offers a good value for you. In addition to Wi-Fi, you also have dual M.2 slots, a veritable ton of PCI Express slots, and even a few dedicated headers for liquid coolers and RGB. 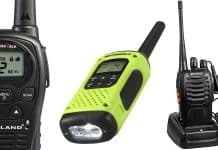 This is our all-around pick because it offers great all-around features and compatibility, regardless of the use case. If you don’t have a lot of cash and you’re looking for a solid entry-level motherboard, this is the right product for you. The biggest problem with this motherboard is that it lacks overclocking support. 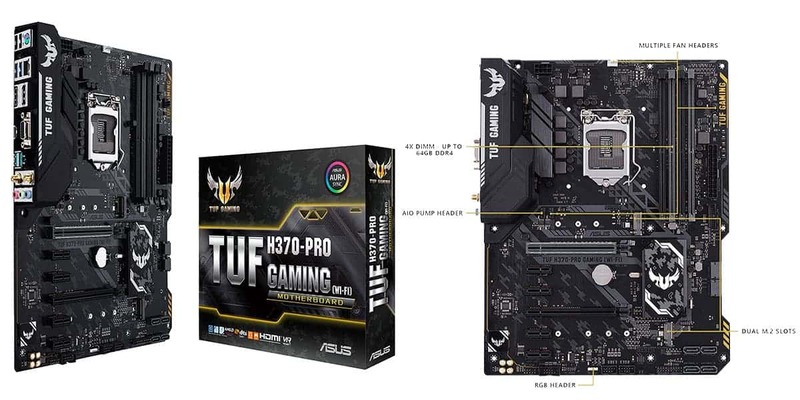 Unlike the similarly-priced Gigabyte Z370P D3, this motherboard uses the H370 chipset. This means no overclocking, which can be a significant downside to enthusiast PC gamers. Aside from that, you’re also missing onboard RGB lighting, and the Wi-Fi solution doesn’t come with Bluetooth as well. You can’t get everything you might want out of a middle-of-the-road motherboard, unfortunately. Last but not necessarily least is the best budget ATX motherboard, the ASRock B360 Pro4. 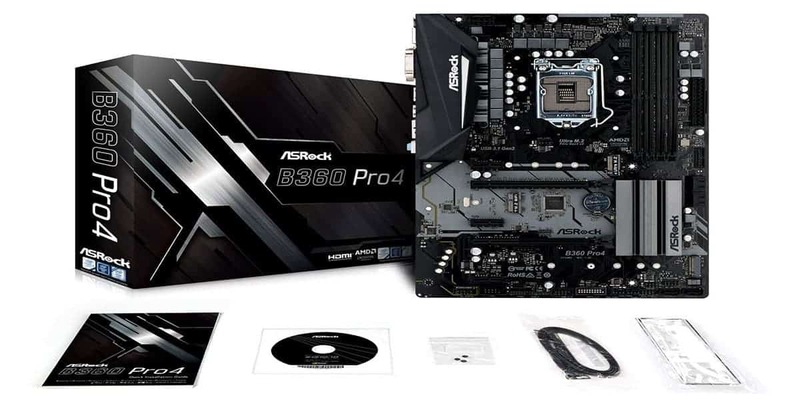 The ASRock B360 Pro4 is essentially a starter motherboard. This is ideal for basic PC builds or budget gaming PC builds that need to put that saved money elsewhere. That’s the most important point- the price. At the time of writing, this is the only sub-$100 motherboard that we were able to find that we’re comfortable recommending. If you’re on a very tight budget, chances are you aren’t eager at the idea of spending $150+ on a motherboard…but you also don’t want to get bottom-of-the-bin boards, either. This serves as a nice compromise. For your money, you get fairly solid build quality and basic support for technology like CrossFire and M.2 drives. You also get 2 PCi Express x16 lanes and a few more PCI slots than you may find on cheaper motherboards as well. While there are cheaper ATX motherboards out there, this is the cheapest we’re comfortable with recommending. We challenge you to find something better at this price point. The only issue with this motherboard is what it doesn’t have. Overclocking, RGB, Wi-Fi…these extra features aren’t present. In exchange for the lower price, though, this may just be a fair tradeoff. If you’ve stumbled on this article by chance or you’re new to PC building, you may not know what an ATX motherboard actually is. Of the standard motherboard form factors, ATX is the most ubiquitous. It stands for Advanced Technology Xtended, and serves as a baseline for most other motherboard form factors. Other common form factors include Extended ATX (usually for server-grade or similar CPUs, like the Threadripper series), Micro ATX, and Mini ITX. The most obvious difference between ATX and other form factors is the presence of more PCI Express x16 lanes. Micro ATX will usually only have two, while Mini ITX only has room for one. ATX typically has three or more, and the same applies to Extended ATX. Other things that ATX might have more of include fan headers, RGB headers, M.2 slots, and RAM slots, especially when compared to Mini ITX. In general, the bigger the motherboard, the more room for expansion that build has. Motherboard size and form factor will never have an impact on gaming performance, though, so don’t worry about that. Now, let’s talk about choosing compatible cases for your ATX motherboard. Looking for the smallest possible case for your ATX motherboard? Click here! Looking for the best Mid Tower ATX cases? Click here! Mid Tower cases, as their name implies, are smaller than standard Full Tower ATX cases. This is useful if you want all the PCI Express lanes and utility of a standard ATX motherboard, but don’t intend on running a 4+ HDD RAID setup or custom loop liquid cooling setup. These effectively function as a compromise between maximum expansion and size. If you want help picking out one for yourself, click one of the two article links we’ve embedded above. Looking for the best Full Tower ATX cases? Click here! Full Tower cases are the standard for ATX motherboards, and arguably the best fit. These will allow you to make the most usage of your motherboard, and many also offer compatibility with Extended ATX motherboards. In either case, you’ll find much more room for hard drive bays, disk drives, and custom loop liquid cooling setups than before. If you don’t plan on running large RAID or custom loop cooling setups, however, we don’t recommend a Full Tower case. You’ll likely be better suited for Mid Tower, since Full Tower cases are notoriously large and heavy. Unfortunately, you usually aren’t going to find anything smaller than ATX Mid Tower. You might luck out and find something like an HTPC case built for full ATX motherboards, but these are very few and far between. If what you want is a smaller build, we recommend checking out our SFF-centric articles. These include write-ups on Micro ATX cases and HTPC cases. If you plan on running multi-GPU setups, multi-drive setups, or custom loop liquid cooling setups…yes. Just make sure that if you’re doing multi-drive or custom loop setups that you opt for a Full Tower ATX case. Are ATX motherboards easier to build with? On Micro ATX boards- and Mini ITX boards even moreso- different connectors are closer together. This can lead to more issues with things like CPU cooler clearance, GPU clearance, and more. If you aren’t an experienced builder or don’t have the help of one, you’re best off building with an ATX motherboard. Will my motherboard impact gaming performance? With size and form factor, no. Absolutely not. However, chipset and RAM compatibility can make a more tangible impact on performance. Specifically, overclocking capabilities and headroom gets better with higher-end motherboards. Top RAM speed also increases in turn, though this is generally considered to have an only marginal impact on performance. Can I fit an ATX motherboard in a smaller case? Even if you do manage to get it to work, chances are you’ll have clearance issues with things like extra drives and PCI expansion. In general, we recommend using ATX motherboards only with compatible ATX cases.